For years we have been working with currencies on Whiskybase as we aim to support as many countries as possible. As we launched this a few years ago and never improved this it was time to take a next step. In order to create a better Whiskybase website we have updated the use of currencies on Whiskybase. Read more what we have done and how it works. We have decided to take a 3 step approach in optimising the currency settings. This to make a smooth and easy transition into the use of currencies. The first step was to connect with Openexchangerates.org. We receive the exchange rates on a daily base, not something completely new but it gives us the chance to improve the exchange rates even further. After that we have created a central location to enable / disable the currency conversion for your preferred currency. 1 location to enable the currency conversion and select the right currency. We started with community related currencies and have move the market related currencies to the next release. For now shoplinks and the average value of the whisky bottles can be shown in your preferred currency. 1. How do I enable a single currency? In your profile settings you can enable the currency conversion. This can be found in: edit profile -> Localization. Here you can enable the: convert community prices to my own currency. Right now we have a limited amount of currencies available. More will be added in the coming months. 2. How are these currencies converted? When you enable the community currency conversion all the shoplinks and values will be shown in your selected currency. We have created a page where you can find the currencies used and the actual exchange rate. Be aware that some shoplinks might be off a bit because the particular shop is using a different currency exchange rate. We try to give you the best possible match but these might be wrong. You can always check the original price by the link information. The sorting on the prices is not working yet, we have decided to do that in the next release. 3. Market related currencies are not working yet? We decided to move this to the next release as there is a bigger impact on these prices. When selling and buying in the market we need to make sure the seller and buyer are receiving the right amount and are paying the right amount. This needs a bit more work on our end. On Thursday 15-02, we implemented a new setup of our servers. This was needed to be able to store all the photos that are uploaded. During this process we also updated some server software. It took a bit longer then expected. The current server setup will not last long as we are migrating the complete Whiskybase setup to a new hosting provider. Planning for this move will be released mid March. Estimated migration time will be at the end of March. Many of you have seen we crossed the 100K bottles on the wall. Today is the day! We will be releasing the bottle around 4PM CET. To make it a bit easier: that is 4 pm in Rotterdam.... ;-). Available now in the shop. New support system and FAQ. We have been working hard on some new features on Whiskybase. It was time to upgrade the help files and the support system. We are not quite there yet but expect a new FAQ and support system in the next week. It will contain a lot of answers and instructions on how to use the website as well as examples how specific elements on the site work. Whiskybase celebrates its 10-year anniversary, it all started when a certain Menno wanted something to keep track of his small collection. In the past 10 years it has been a very interesting journey and we couldn't have been where we are today without the help of all the members of Whiskybase. 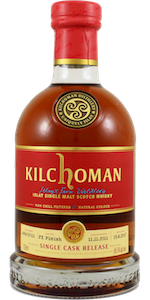 To mark this 10th anniversary we selected a bottle for the Whiskybase members. Ticket sale for the Gathering 2017 started on the 1st of June. The event is sold out. We are very excited about this edition! Not sure what to expect at the Gathering? Find out what the Gathering is all about. We will be updating the functionality of the dashboards soon. The homepage can be changed again to a personal homepage with your own trackers and checkin information. You are also able to change your own profile page and decide what to show to other members who visit your page. This will be in effect as of Monday the 5th of June. In order to do this your current personal dashboards will be reset to a default before you can change it again. We have fixed several bugs to trackers and widgets. The next few weeks we will still be adding and changing the working on some widgets but in general you should be use most of the widgets.